Work to restore historic Bridgford Hall is now underway as the site team begins to bring the 18th century structure back to its best. Heritage specialists, Woodhead Heritage, will be delivering the restoration project on behalf of Rushcliffe Borough Council. The £2.3m project has been possible thanks to £1.5m funding from the Heritage Lottery Fund, as well as the Council’s own £800,000 investment. The design of the restoration has been developed and managed by Nottingham architects, Purcell. Once work is completed, the ground floor of the Grade II listed building, based on Bridgford Park, West Bridgford, will once again be home to Nottinghamshire County Council’s wedding and registration service. Other improvements will include creating an ‘aparthotel’, housing seven high quality serviced apartments (including one accessible ground floor unit), for short term stays. The apartments will be run and managed by Derbyshire-based management company, Birchover Residences Limited. The building will receive a major overhaul, including two extensions, which will accommodate a new reception for the apartments and a stair and lift provision to all access to the upper levels. The interior design will be delivered with a ‘light touch’, maintaining the existing historic features (such as ceilings, architraves and fireplaces) and adding new elements in a sympathetic manner. Externally the building will be sympathetically restored, with close attention being paid to maintaining the original look and feel of the structure. Cllr Neil Clarke, Leader of Rushcliffe Borough Council said: “The renovations of this historic building are key to preserving the heritage of West Bridgford for the community and we’re pleased to have appointed a local contractor specialising in conservation to do the work. Bridgford Hall, built in the late 18th century was once owned by the Musters and Chaworth families, both remembered in local street names thanks to their prominence across Nottinghamshire, in particular the West Bridgford area. 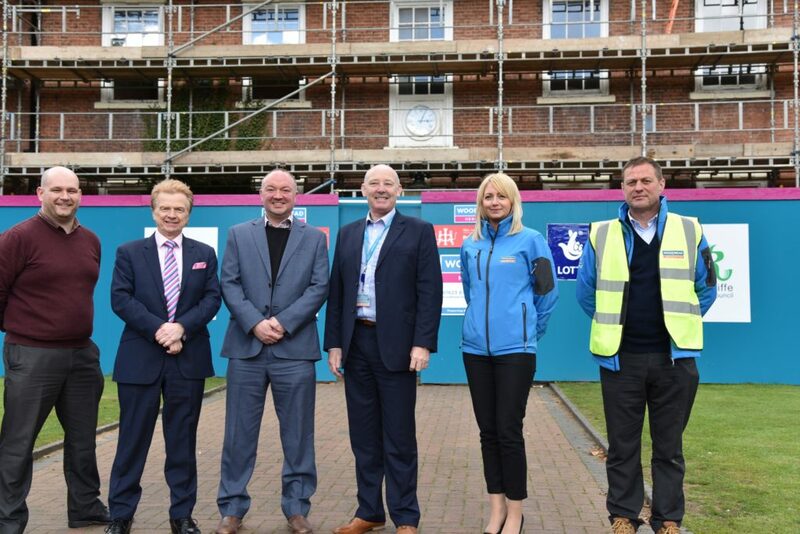 Work has now started at Bridgford Park and is being managed by local site manager, Paul Staniforth, who recently led the teams on the restoration of Lincoln Castle and Marble Hall in Derby. Paul said: “I’ve been working on historical buildings for many years now and it’s vital in every restoration project that we understand the history of the building we are working in, in order to sympathetically restore it to its former glory. Bridgford Hall is a beautiful building in a fantastic setting. Bringing this structure back to its best will be a privilege for myself and the team. As the site progresses, a series of ‘hard hat tours’ are expected to be held in September, giving local residents a chance to have a sneak peek at the work taking place, and ask questions of those carrying out the restoration. More information will be available nearer the time from Rushcliffe Borough Council – www.rushcliffe.gov.uk/bridgfordhall.